Best Christmas Apps for iPad Users – The holiday season is just all over us, and everything is celebrating the holidays in its own tune. Christmas holiday brings lot of things in to our lives, and no one is denying it but the real fact is bit shocking for everyone. While we enjoy these Christmas holiday season with our loving ones, and away from all of the work. Many of us get quickly back on track, but few struggle many days to get things back on their track. Therefore, we decided to help our readers or you can say that especially the iPad users who love to carry their gadget all the time with them. Personally, I am also one of those who carry their gadgets especially iPad devices with them everywhere. I have several things on my iPad that help me all over the day. 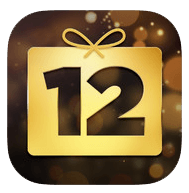 That’s why, we at GeekSays decided to come up with an ultimate collection of best Christmas apps for iPad that can help you with your holiday season. We hand-picked best Christmas apps for iPad users and cannot wait to share with all of you. 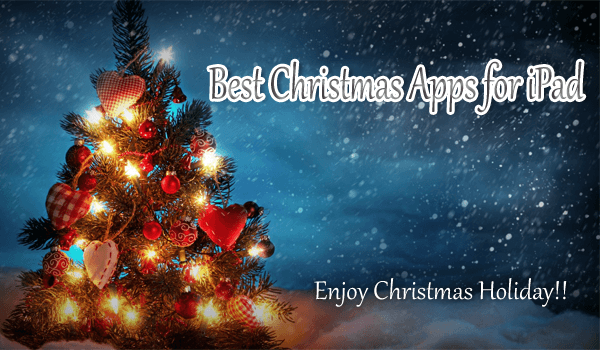 The main idea of the best Christmas apps for iPad list is to help people in shopping, touring, getting discounts on majority of things, and keeping their spirit of holiday season. In this edition, we tried to keep our focus on applications that bring Santa Claus to your device and let you communicate with kids around you. These applications will help you in restoring the faith, and enjoying with your kids. As the name of application suggests, it is an application that comes with several different Christmas Wallpapers for your iPad device. We love to see their collection, but bit hesitated while mentioning in our best Christmas apps for iPad device. It allow users to download latest wallpapers on their devices, and deck out in front of your family members to boost their spirit in Christmas holiday. The application is available in the App Store for $0.99. Naughty or Nice Scan is a wonderful application to attract your kids toward yourself and latest iPad. It allows you to play games with kids using Santa Claus good and naughty rank meter. It let you scan the fingerprint on iPad display, and then automatically calculates the naughty rank according to Santa Claus.I am not going to spoil the fun, but believe me it would be a great application to go with this Christmas holiday season from our best Christmas apps for iPad collection. You can get this application in the App Store for $0.99. It is also a good application to keep the spirit of your kid in the holiday season and its blessing. It let you finish your and your kid’s day with counting down the days left in Christmas and the moment they will see gifts from their Santa Claus. It also comes up with a bonus of 8 Christmas songs for your kids, and is available in the App Store for free of cost. 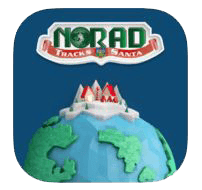 The NORAD Santa tracker is an official application from the NORAD Tracks Santa program. It let you see the current location of Santa Claus in the air. With the application you and your kids can also learn about the NORAD Santa tracking mission.It must be installed on your iPad or iPhone this Christmas holiday, because it let you seriously boost the trust and faith of your kids in Christmas holiday with providing real tracking data of Santa Claus.You can download NORAD Santa tracker for iPhone and iPad from here. 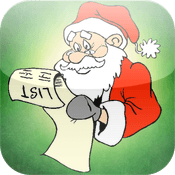 The entire concept of Rescue Santa Free application is it is wrapped with a story where Santa is kidnapped by some evil alien, and you need to help Santa in delivering the gifts to kids all over the world. The game is pretty interested as you need to find different Santa versions to gather them at one point to bring back the original Santa Claus back on this Christmas. 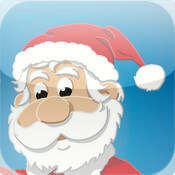 Get Rescue Santa free for your iPhone or iPad from here. 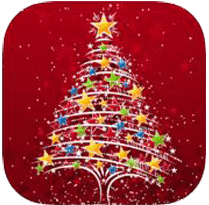 Christmas Tree is an interactive application for iOS users, as it helps them in visualizing their ideas of decorating Christmas trees for the holiday season. 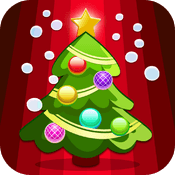 The Christmas Tree application is available in the App Store for both iPhone and iPad devices for free of cost.It offers 221 ornaments, trinkets, toppers, gift and ribbons to decorate your Christmas tree. It can be downloaded from here, using this App Store link. Inkly Cards is a brilliant application for those who love to send cards and greetings to your friends and family members. 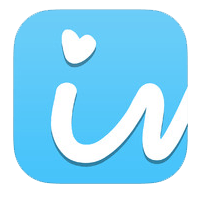 Inkly allows you create and send your own handwritten greeting cards from selected inventory of designs of Inkly Cards on your iPhone and iPad. It let you write your greetings on paper, and take a picture from your iPhone. The Inkly Cards will show its message when you upload your picture, it automatically picks your handwritten greeting and send it for you around the corner for a little amount.Download Inkly Cards for iPad from here. Shopping is an essential part of Christmas holiday, as many of us have to purchase thousands of gifts for our kids and friends to celebrate these holidays. 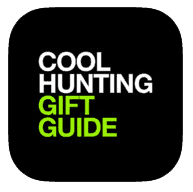 Cool Hunting Gift Guide is a perfect application that will help you in shopping, and gives you an idea about everything you want to gift to your friend or family members. The application is truly compatible with every iOS device and runs on latest iOS 7 as well.It is available in the App Store for free of cost. It is an application from Apple for iOS devices. It supports both iPhone and iPad devices. Over the period of 12 days, Apple offers something to its customers for free of cost as a gift. It is a perfect chance to get something valuable from Apple. It can be an e-book, movie, music pack, or an application.You can download this application for free of cost on all iOS devices, using this App Store link. By Open Air Publishing Inc. 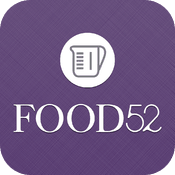 This Holiday Recipes & Part Planning Guide comes from the immensely popular foodie website, Food52. Get inspired with unique recipes for this winter and delight the stomach with beautiful soups and sweets. The greatest feature of this app is its thoroughness. If you don’t know a technique a recipe requires, don’t sweat it. Food52 gives you a tutorial with every step pictured.It is available in the App Store for $3.99. It supports both iPhone and iPad devices. You must be wondering that why I have mentioned Flipboard in this list. Flipboard is an awesome application for you this Christmas holiday. I was very happy to mention it in our best Christmas apps for iPad collection. 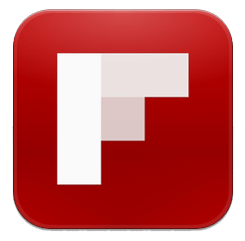 Flipboard brings you all sort of latest news and flash updates from around the world. Flipboard can help you in staying on the track with your work on this Christmas holiday.It is available in the App Store for free of cost. While you are spending your holiday season with Flipboard, we can assume that you will find out many interesting things you need to use later. 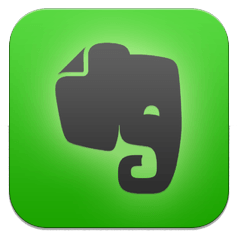 The Evernote, application can work for you in the holiday to save important stuff for later read. It also provides you the ability to save text from any website or application, furthermore it syncs the data across different devices. It is also available in the App Store for both iPhone and iPad devices. At the end, if you are looking to make a tour this Christmas holiday season. TripAdvisor is the best service and application that you can look for planning your trips all over the world or across the nations. 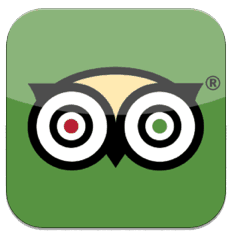 TripAdvisor can be easily downloaded from App Store, using this link. I will wait for your comments to tell me about our Best Christmas Apps for iPad.